EUROPEAN STANDARD NORME EUROPÉENNE EUROPÄISCHE NORM EN 12845:2015/AC January 2016 Janvier 2016 Januar 2016 ICS 13.220.20 English version Version Française Deutsche Fassung Fixed firefighting systems - Automatic sprinkler systems - Design, installation and maintenance Installations fixes de lutte contre l incendie - Systèmes d extinction automatique du type sprinkleur - Conception, installation et maintenance Ortsfeste Brandbekämpfungsanlagen - Automatische Sprinkleranlagen - Planung, Installation und Instandhaltung This corrigendum becomes effective on 20 January 2016 for incorporation in the three official language versions of the EN. Ce corrigendum prendra effet le 20 janvier 2016 pour incorporation dans les trois versions linguistiques officielles de la EN. Die Berichtigung tritt am 20. Januar 2016 zur Einarbeitung in die drei offiziellen Sprachfassungen der EN in Kraft. EUROPEAN COMMITTEE FOR STANDARDIZATION COMITÉ EUROPÉEN DE NORMALISATION EUROPÄISCHES KOMITEE FÜR NORMUNG CEN-CENELEC Management Centre: Avenue Marnix 17, B-1000 Brussels © 2016 CEN All rights of exploitation in any form and by any means reserved worldwide for CEN national Members. Tous droits d exploitation sous quelque forme et de quelque manière que ce soit réservés dans le monde entier aux membres nationaux du CEN. Alle Rechte der Verwertung, gleich in welcher Form und in welchem Verfahren, sind weltweit den nationalen Mitgliedern von CEN vorbehalten. Ref. No. :EN 12845:2015/AC:2016 D/E/FEN 12845:2015/AC:2016 (E) 2 1 Modification to 7.2.2.1, General Delete at the end of the sentence “except when applying Annex P“ to read: “Authorities shall be consulted for buildings exceeding 12 m.“. 2 Modification to 10.1, General In the last paragraph, add “horizontal“ before “pumpsets“ to read: “The coupling between the driver and the pump of horizontal pumpsets shall be of a type which ensures that either can be removed independently and in such a way that pump internals can be inspected or replaced without affecting suction or discharge piping.“. 3 Modifications to 10.7.3, Calculated systems In the 1stsentence, delete the first occurrence of “pumpset“ and replace the 2ndoccurrence of “pumpset“ with “pump“ to read: “When measured by the supplier s test facility, the pump shall provide a pressure at least 0,5 bar higher than that required for the most unfavourable area.“. In the 2ndsentence, replace “pumpset“ with “pump“ to read: “The pump shall also be capable of providing the flow and pressure of the most favourable area at all water supply water levels.“. 4 Modification to 10.9.13.2, Site commissioning test In the 1stsentence, add “more than 15 s or“ before “less than 10 s rest“ to read: “When commissioning an installation the automatic starting system of the diesel engine shall be activated with the fuel supply isolated for the six cycles each of no less than 15 s cranking and no more than 15 s or less than 10 s rest“. 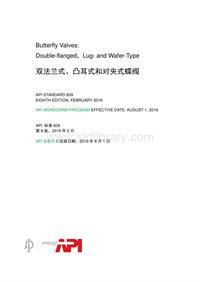 5 Modification to 20.3.5.3, Water supply stop valves, alarm and non-return valves Delete “dismantled,“ to read: “All water supply stop valves, alarm and non-return valves shall be examined and replaced or overhauled as necessary.“.